Possibly the end of the British Policing model is in sight for England & Wales? Rank-and-file officers remain furious at proposal which “threatens the bedrock of policing” while Home Office declines to comment. 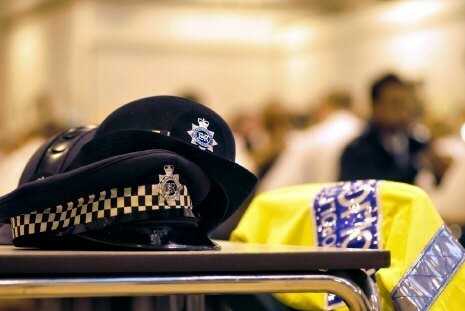 An autumn date is likely for the decision over whether officers can be made redundant from the Police Arbitration Tribunal after a “failure to agree” at the Police Negotiating Board. PoliceOracle.com understands that October is the most probable date for the arbitration hearing – following the deadlock from the Official and Staff Sides of the PNB on July 24. A Police Arbitration Tribunal (PAT) decision on police officer redundancy is then expected to come before Christmas – with the issue going to the Home Secretary for the final decision. In previous years the final word from the Home Secretary has been made before Christmas. But Theresa May made her decision on the 2012 PAT ruling at the beginning of this year. A Home Office spokesman told PoliceOracle.com it would be “inappropriate to comment while negotiations are ongoing”. Ian Hanson, Chairman of Greater Manchester Police Federation, strongly criticised the Official Side of the Police Negotiating Board after the “failure to agree”. The announcement was made after the Staff Side – made up of the Fed, the Superintendents’ Association and the Chief Police Officers Staff Association – and the Official Side, containing ACPO, the Home Office and the Association of Police and Crime Commissioners – held a final day of talks at the Office of Manpower Economics in London. “I am angry at the abject failure of the Official Side to follow our lead in approaching discussions in a meaningful and positive way,” Mr Hanson said. He added: “We have acknowledged the need to sit down and talk issues through and have given concessions that would have given many savings. But these have simply not been acted upon – this not only fails the process but also the hard pressed tax payer. Concerns have been raised that the use of compulsory severance would effectively undermine the Office of Constable. But supporters of the move have said it would give chief officers more flexibility in managing their workforce in tough times. Jon Christopher, Chairman of West Yorkshire Police Federation, added: “This is the most damning aspect of the recent changes that the service has ever faced should it actually be brought in. “I think that we have to open our eyes and genuinely believe that the likelihood of this going live is very high. As previously reported, Ian Rennie, Fed General Secretary and Staff Side secretary at PNB, described the PNB decision as a “sad day” for the Police Service of England and Wales.